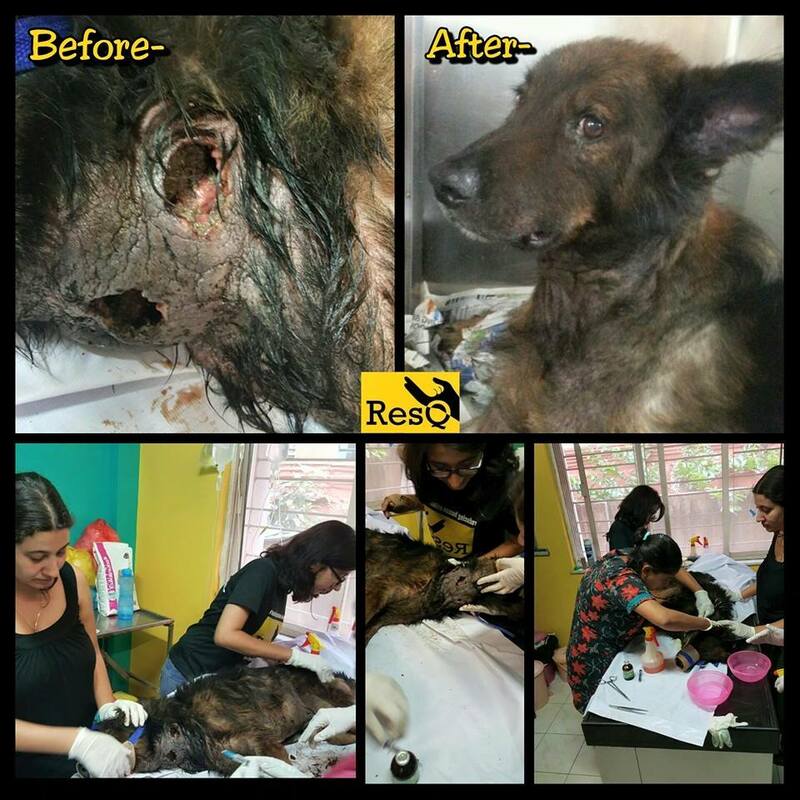 RESQ Charitable Trust - Shaggy – not so shaggy anymore! Shaggy – not so shaggy anymore! Shaggy was found on a highway lying lifeless with giant maggot infested holes on his throat. The wounds were carefully cleaned by the team and every visible maggot was tweezed out. With regular cleaning and dressing @ the ResQ Trauma Kennels Shaggy is now as good as new. He looks like a German Shepard cross with his heavy build, pointy ears and long coat. He loves sitting in his kennel and is quite a lazy & independent personality ! He would make an excellent addition to a relaxed and easygoing household or even a great farmhouse dog. He will be neutered and released next week! Give older dogs a chance, they may not be as cute as those little puppies but they require very little and give so much love in return. Hit by Cars and Left to Die: 4 Bravehearts who REFUSE to Give up! Super Beagles with Hearts of Gold! Kaudi Gets a Forever Home! A Cow and her Calf Reunite at RESQ. Puppy stuck in tar for days- Rescued! Beauty isn't about having a pretty face! Puppy stuck in underground pipe for 8 days! ADOPTION: Batman & Lucky got Lucky! Pain is real...but so is Hope. It's time for Andy to go! …and finally they are Home! Once again, there are elephants at RESQ! Lakhi makes her final journey!